Say ‘North Caucasus’ and people tend to think of terrorism, or Chechnya’s bloody, apocalyptic war. Or, more trivially, they recall Hilary Swank’s regret at having attended Ramzan Kadyrov’s birthday party, styled as a celebration of Chechnya’s post-war ‘renaissance’. 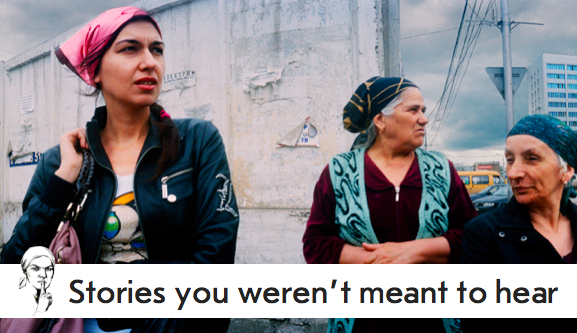 This series looks at the North Caucasus today from a different perspective – that of women. Its theme is the systemic, engrained, often brutal denial that women and girls are fully-fledged individuals, with equal rights. As you read these stories, it will become clear that it is no coincidence that the region where women’s rights are most routinely violated, their freedom most limited, their potential most suppressed and their participation in government almost non-existent, is also Russia’s poorest, its most violent and dysfunctional overall. When gathering these stories, the question arises: why is the North Caucasus, especially its three easternmost republics of Ingushetia, Chechnya and Dagestan, such a hostile place for women? Why is it that in contemporary Russia, disturbing practices like bride kidnapping, child marriage, honor killings, exist at all? How can they take place with virtually no consequences for perpetrators and no protection for victims? Is it a consequence of those wars of the 1990s and early 2000s, which left tens of thousands dead and caused untold suffering, mostly among civilians? If Chechnya’s war really is to blame, why is it that women’s lives are so little different in Ingushetia and Dagestan, which, though they suffered their own bouts of violent conflict, did not experience the massive military campaigns that devastated Chechen society? Is Islam the reason? Many of the region’s inhabitants are convinced it is, perhaps more so than those of us who observe patriarchy all over the world. To outsiders, it may look as if Chechnya’s initially separatist casus belli became conflated across the region with the broader cause of a radical Islam which has no time for the emancipation of women. But fundamentalist Islam gained a foothold quite by itself, far away from the wars and even before they ever broke out. These days, as our series will show, fundamentalist Islam is flourishing in the region, perhaps nowhere more so than in Dagestan. Nor is fundamentalist Islam limited to the militants hiding in the forest. It is becoming the way of life for a growing part of the region’s population. The unwritten rules that bind the lives of women in the region are clearly much older than the Islamic revival of the past two decades. It is possibly older even than the very arrival of Islam, which in some parts of the region occurred not all that long ago. Indeed, many local women, especially among the young and educated, feel that Islam, at least in theory, would grant them more rights and freedoms than the rules that their communities actually live by. Most locals will simply say that their local traditions, the ‘mentality’, are the main constraining factor on the lives of women. If this is so, how does this sit with the modernising experience, the often revolutionary change for women, brought by seven decades of Soviet rule? One answer is that in this region, Soviet rule was a rather different , and much shorter, experience than in most parts of Russia. Here on the country’s mountainous, rural southern border, Soviet education and industrialisation programmes had only just started to penetrate the region by the time World War 2 broke out. Then in 1944, the entire Chechen and Ingush peoples (along with several other ethnic groups from the North Caucasus) were deported to Central Asia by Stalin, accused of collaborating with the approaching German armies. Their punitive exile in Central Asia and Siberia was brutal and traumatic. It didn’t end until after Stalin’s death. For some, exile brought increased integration into the Soviet way of life. But for most, resentment and alienation dominated and never really went away during those last three decades of Soviet rule, after they returned home. Even so, in the space of a couple of generations, the lives of women in Chechnya appeared to change radically. The communist party strongly discouraged practices like polygamy, bride kidnapping and honour killings. Violations of the law were investigated and punished. So for a time these practices faded away. Literacy, secondary and higher education were all gained for the first time, in just a few decades. Women were expected to join the workforce. Many worked on collective farms. But girls, the daughters of illiterate village women, also started leaving their homes and villages to work and study in Grozny or beyond their native region. Often this was thanks to pressure by the local communist party on their families, who might otherwise have resisted their daughters living away from the watchful eyes of their male kin. Some Chechens report that even during this late Soviet period there was discrimination against ethnic Chechens who wanted to enter university, especially elite schools outside of Chechnya. The reality was more complex. There were also quotas for minorities like the Chechens, affirmative action programmes which made it easier to get into university and careers in various fields. Going to university at home in Chechnya was much easier than it is today, when it has become a question of money. Thanks to oil, Grozny was an industrialised city with a large refinery complex and jobs in the energy sector to offer. Chechen women built impressive careers further afield too. There were female supersonic pilots, Olympic athletes and opera singers from the North Caucasus, as well women engineers, academics, doctors and government officials. However, at home women’s lives changed little. They were still the ‘eastern women’ of Soviet imagination. They might work on assembly lines, but also give birth to 12 children. They would not only cook the food for their large households, but grow it on the family plot. They might be sitting their doctorates. But at the same time they would be slaving from morning to night for their in-laws, in the customary Cinderella role of the newest bride in the house. The generation of women who benefited most from those Soviet opportunities and top-down liberalisation are now grandmothers in the ‘60s. They recall that their husbands did not change as much as their womenfolk. Many women suffered emotional and physical violence at home. Once communist party officials were no longer there to pursue parents for taking their girls out of school for an early marriage; once village policemen were prepared to turn a blind eye to an honour killing; once bride kidnapping would no longer land you in prison, these practices started to spread again. Negative attitudes towards women’s education, economic independence and freedom had only hibernated for a generation or two. Below the surface they were alive and well. While state institutions were decaying and failing around them, people started falling back into the patterns of the past. Nowhere was this more true than in those communities which became engulfed in violent conflict. Meanwhile, those who had truly internalized those Soviet-era values of modernity, equality and education were increasingly inclined to leave the region for southern Russia, Moscow and abroad. While their attachment to their native region remains strong, it is exclusively sentimental. They know that they will never “go back home”. There is no place in the North Caucasus for their daughters, who wear jeans, have boyfriends and live independent lives. Demographics are another reason why the Soviet experience has less of a grip in this region. Much has been written about Russia’s ageing population and declining birthrates (though the latter are hardly as catastrophic as they are often made out to be, and more like the European average). In this respect, too, the North Caucasus is an outlier, with total fertility rates of 4 children per woman in Ingushetia and 3.4 in Chechnya. As a result, these republics present a completely different demographic picture from the rest of Russia. With a median age of 22 or 23 (compare to Russia’s overall 38.8), half of the population are children and young people whose entire lives have been post-Soviet. And how many more would only have been children when the Soviet era ended? To most of the region’s residents, the Soviet way of life, with all its support systems are not even a distant memory. Then there was the war in Chechnya. Chechen women agree that the war changed their position radically. They had to work to support their families because it was too dangerous for the men to do so, they will tell you. Rather than just going to the office or factory, as they did in the Soviet period, now they had to create incomes out of thin air, by their own ingenuity. They became solely responsible for their families’ survival. During the war, women were also charged with chasing government benefits and compensation, as well as pressing for the release from prison of their detained sons and husbands, through protests. The grass-roots civil society that emerged in response to the persistent human rights violations was dominated by loud, strong, courageous women. When the fighting and the vicious mop-up operations were over, when men could show themselves in public again, their first instinct was to go back to ‘normal’, to shut up these noisy women and put them back in their place. In this they have had the enthusiastic, if not obsessive, assistance of Ramzan Kadyrov, the head of the Chechen Republic, who has made ‘cultural revival’ – focusing, as it often does, on the bodies of women - his flagship policy. His rise to power may have resulted from a series of accidents, not least the assassination in 2004 of his father, Akhmed Kadyrov. But today his hold on power is unrivalled across Russia, and his unconstitutional and vigorously enforced policies on women face no challenge. Enforcement of this return to ‘normality’ has been helped by the mass exodus of Grozny’s non-Chechen population – Russians, Armenians, Jews, Azeris – triggered by war. Chechnya’s tiny, rural, ethnically-related neighbour Ingushetia was engulfed by the backwash of war. Refugees poured in, at times almost doubling the population. They brought chaos, insurgents and with them the seeds of a local extremist underground. The displaced people’s tent cities are gone. But for a while, in the late 2000s, Ingushetia became the most violent region of the North Caucasus. 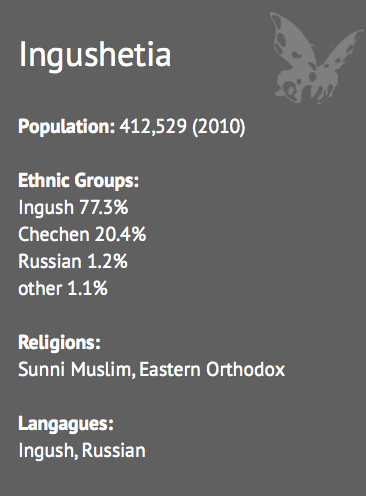 However, Ingushetia is also a quiet, modest example of turn-around, one that perhaps isn’t given enough credit. Under its president Yunus-bek Yevkurov, levels of violence have dropped. Deaths among both the security forces and the militants have fallen faster than anywhere else in the region. Corrupt officials have started losing their jobs and being put on trial. Even so, the radical underground is still there, and holds the lives of women in thrall: one of the bravest women’s rights activists in Ingushetia (and an author in our series) reports that she picked a name for her organization that doesn’t mention ‘women’, fearing that such a plaque on their door would expose her team to threats by the radicals. There was a time, pre-Kadyrov, when the consensus among Chechens and Ingush was that Chechen women had more freedom than Ingush, that Ingush society was the most conservative and patriarchal of the entire North Caucasus. We don’t hear that much anymore. So in addition to the ‘mentality, to religion, hardship and war, perhaps politics is as decisive a factor in the lives, freedom and rights of women in this region? The beautiful republic of Kabardino-Balkaria is thriving by comparison with its dysfunctional neighbours further east. Home to the highest peak of the Caucasus range, Mount Elbrus, and to clusters of spas and resorts, its capital Nalchik boasts mineral springs, historic spa hotels and elegant parks. However, it has not entirely escaped the violence and abuse that rumbles through the North Caucasus. There is a persistent drip of extremist violence and ruthless response by the police, though its people refuse to let panic rule their everyday life. Much of the trouble goes back to October 2005, when one of the worst terrorist attacks in the North Caucasus destroyed the tranquility. Seemingly out of nowhere, the city’s government and security forces were attacked by hundreds of members of a local jamaat, leaving 142 dead. The aftermath of arrests and trials were blighted by problems. These ranged from systemic torture of the detainees, to the impossibility of finding willing local jury members, to defendants in the court room threatening further violence. The trial of 58 defendants has still not concluded. These traumatic events have left the region badly scarred. On the one hand, the fight against violent extremist groups has resorted to increasingly dirty methods. On the other, extremists have started targeting ordinary citizens and even tourists for their supposedly un-Islamic way of life. Kabardino-Balkaria takes its cumbersome name from its two constituent minorities, the Kabardins and the Balkars. The Kabardins are better known to us as the Circassians who populate 19th century Russian literature and captured the Western reading public’s romantic imagination. The region feels altogether less ‘eastern’ than Ingushetia, Chechnya or Dagestan, though these are only a few hours drive away. This is partly because the republic’s ethnic diversity goes beyond the two dominant ethnic groups, with almost a third of the population being Russian and a mix of other Caucasians. As many as 40% of marriages here are mixed. The difference also extends to women’s dress, traditional village architecture, social mores and the role religion plays in public life. When the locals talk about the republics further east, they tend to say things like ‘three hours on the road, three hundred years back in time’. People from Chechnya or Ingushetia see Nalchik as a playground, a place where they can let their hair down, where a young woman can spend the evening in a café shooting pool without anyone raising an eyebrow. The lives of women here are indeed far removed from the harsh social norms and crippling restrictions that prevail in the conservative eastern republics. Women from Kabardino-Balkaria enjoy careers across the board including in male-dominated spheres. They travel the world and enjoy physical sports, like jumping out of planes on their weekends. But just below this relaxed surface stringent gender roles persist, often reinforced by the guilt-trip of ethnic propriety (‘a good Kabardin girl does this’, ‘a proper Balkar woman does that’) and characterised by vicious double standards. Women in Kabardino-Balkaria may spend years abroad to acquiring a PhD. But back home, they have to live with their parents until they get married. Bride kidnapping is common, and a victim’s modernity and worldliness is no protection. The concept of honour, or premarital virginity, is still paramount, as our first author from the region reveals. Unlike its ethnically more homogenous neighbours, Dagestan’s patchwork of linguistically diverse ethnicities underpins a lively press and culture. This is especially true in its urban centres, the only ones in the region which have the feel of real cities. In Dagestan’s bustling if somewhat run-down sea-side capital Makhachkala, young women in skinny jeans and flowing hair share the streets, student cafés and lecture halls with their peers in floor-length skirts and elaborately wrapped hijabs. Neither one gives the other a strange look – a strikingly different picture from the rigid conformism and judgmental attitudes in Chechnya and Ingushetia. For all its urban diversity, however, Dagestan also features the most remote villages of the entire North Caucasus. Precariously perched on the terraced sides of deep valleys, cut off from the rest of the world for months every year, they are home to communities so isolated that they speak their very own languages. The lives of women in these often desperately poor villages follow archaic patterns, constructed around the harshest gender roles. And yet, somehow, every year teenage girls from these far-away places still make it to the cities, go to university – and find themselves caught between two worlds. In Dagestan, too, the fight between the fundamentalist militants and the security forces has built up to staggering levels of daily, horrifying violence and human rights abuse. The militants do not just target the police. They frequently attack banyas (or Russian saunas, a euphemism applied to brothels) and shops selling alcohol. In summer 2011, they planted mines under the women’s volleyball field on the beach, and one woman had her leg blown off. Nowhere across the region is the fear of this invisible, unpredictable, ‘they are hiding right among us’ underground more palpable than in Dagestan. It is felt most by those who still pointedly identify as secular – a term which few outside Dagestan’s cities, in Chechnya or Ingushetia, would choose to describe themselves. As in Ingushetia, women’s rights activists in Dagestan consider the fundamentalists the main threat to their work. Why are women’s lives the way they are in the North Caucasus? We may not be able to answer this question in this series. But the stories we have to offer by and about women from the region will keep on exploring the issue. While some of our contributors write from the comparative security of exile, most live in the North Caucasus. For these women, the very act of contributing involves extreme risk.